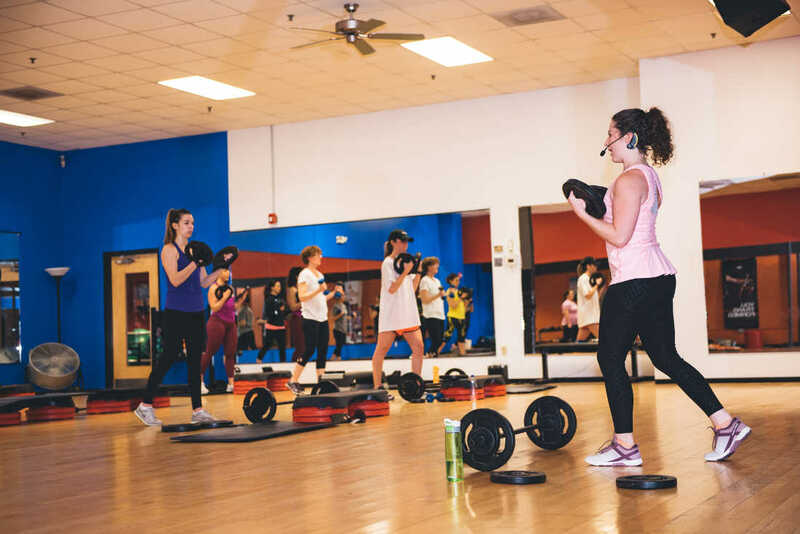 Group Fitness at The Weight Club is meant to inspire and get people excited about fitness. We aim to provide a positive atmosphere where people strive for progress, not perfection. Our job is to lead our participants through a challenging workout to help them reach their fitness goals. The challenge can be to improve strength, cardio, or to be in a moment with total clarity and focus. We have two studios for all of your group fitness needs. Studio A (the large room) has a traditional aerobics floating floor. This studio will host the high impact and strength classes. Studio B (the blue room) is where we have yoga, pilates and more light impact classes. The Group Fitness department is always listening to our members and following trends of the industry. We offer a variety of times to give you plenty of opportunities to get in a workout. LES MILLS GRIT™ is a 30-minute high-intensity interval training (HIIT) workout, designed to improve strength and build lean muscle. This workout uses barbell, weight plate and body weight exercises to blast all major muscle groups. LES MILLS GRIT takes cutting edge HIIT and combines it with powerful music and inspirational coaches who will be down on the floor with you, motivating you to go harder to get fit, fast. The Yoga, Tai Chi, Pilates workout that builds flexibility and strength. The LES MILLS™ barbell class, will strengthen your entire body! The LES MILLS™ version of step class. Choreographed to the hottest, coolest music! 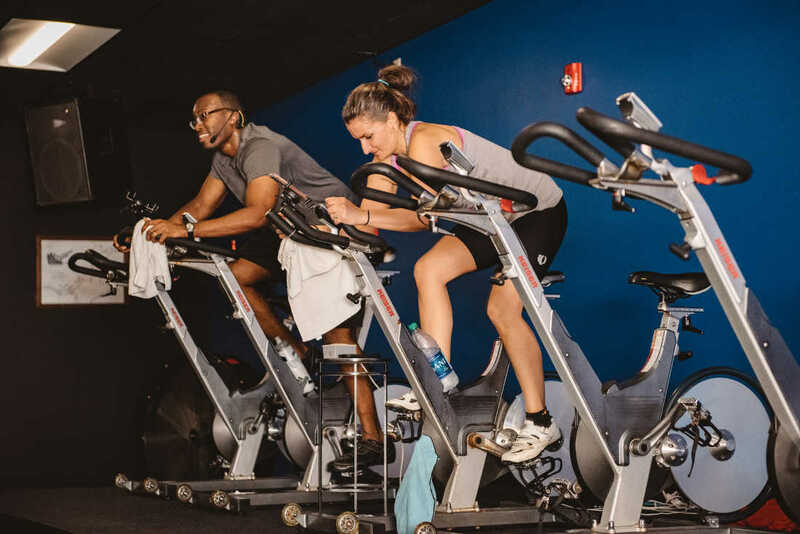 This athletic-inspired class will boost your heartrate quickly and give you a full-body cardio workout! Freestyle step class that builds on its choreography throughout the class. Ideal for tightening your abdominals and glutes while improving functional strength and assisting in injury prevention. An intense 30-minute core-training workout designed to tighten and tone your midsection in the shortest amount of time possible. The class utilizes your body weight, free weights, and resistance tubing to challenge your balance, coordination and improve your functional strength. 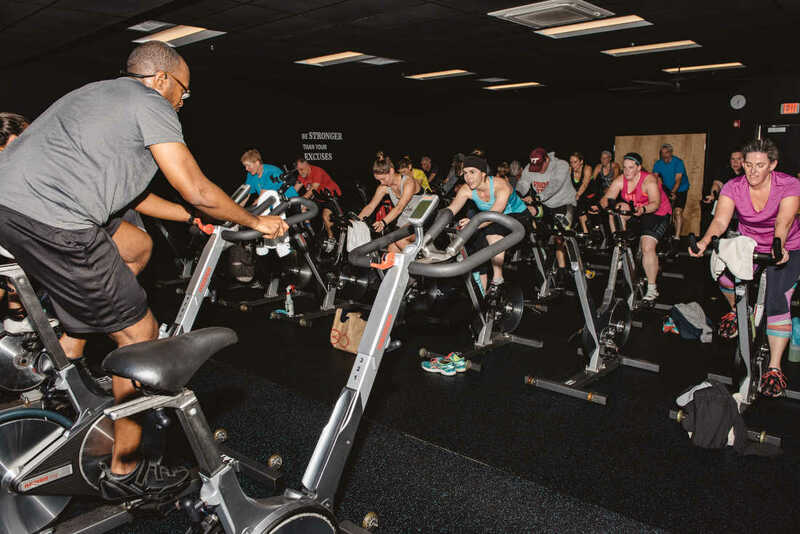 The indoor cycle class that lets you work at your own pace while listening to great music. Each instructor has their own style so be sure to give them all a try! Total body conditioning class with emphasis on your core strength, balance and flexibility. Take this class at your own pace. High Fitness transforms old school aerobics into a highly addictive new fitness experience. It combines simple, modern fitness techniques (HIIT, plyometrics, dance) with music you know and love. This class is a circuit-style class that is led by a personal trainer who creates a workout with cardio/strength and core training. Participants move through stations at timed intervals, focusing on different muscle groups. The class has options for every single body type. Beginner to advanced can enjoy this 25 minute class. Join this group from Virginia Tech for a free workshop on Hip Hop dance! Low impact, low intensity level class. Ideal for mature adult participants or beginners. Focus is on the core (abs, back, and hips). Designed to improve balance, coordination and body awareness. This unique blend of power-yoga with a ball accentuates the balance and core while strengthening and providing flexiblity to the body. Appropriate for athletes, yogis, runners, and dancers, who are willing to try new movements and inversions for a healthy, challenging workout. Stretch and relax in this short class. During the long holds of restorative stretching, your muscles are allowed to relax deeply with the use of some props to help support your body. Full body workout that will challenge your strength and balance. This Chinese martial art will help improve balance and calm your mind. Traditional Yoga class using deep breathing techniques along with stretches and strengthening positions. Active older adults who are looking for a modified Zumba® class that recreates the original moves you love at a lower-intensity. A flair of Latin, African, Hip-Hop and International dance styles all into one class! Can’t make it to the gym? Keep your fitness going with over 500 workouts from LES MILLS On Demand!